Nikolaus Gansterer. Photo: Eva Kelety. 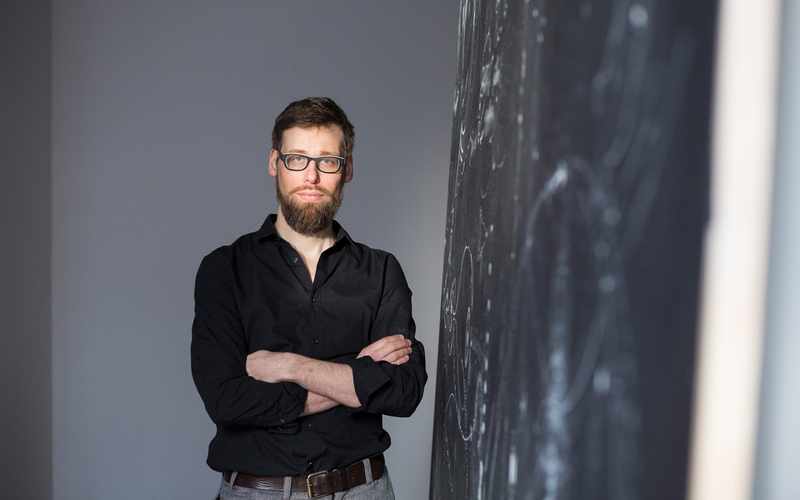 Austrian artist Nikolaus Gansterer has been named the winner of the third edition of the MAC International Prize, Ireland’s largest award for contemporary artists. Chosen from a pool of more than eight hundred artists, he will receive $25,000. Gansterer was recognized by the biennial award, known as Ireland’s Turner Prize, for his mixed-media installation Wor(l)ding: a meshwork of sense in flux. The piece is featured in the MAC International exhibition at the MAC in Belfast, alongside works by ten shortlisted artists and collectives: Anca Benera & Arnold Estefan, Ali Cherri, Larissa Fassler, Invernomuto (Simone Bertuzzi & Simone Trabucchi), Ronan McCrea, Aisling O’Beirn, Vesna Pavlović, Renata Poljak, Larissa Sansour, and Özge Topçu. The artworks, which will be on display until March 31, address issues ranging from fake news to archaeological inquiries. The prize jury was made up of Hugh Mulholland, senior curator at the MAC; Anne Barlow, director at Tate St Ives; and Başak Şenova, curator of CrossSections, an interdisciplinary platform that is hosting programming in Vienna, Helsinki, and Stockholm over the course of three years, from 2017 to 2019. Tourism Northern Ireland and the Belfast City Council also back the award. Previous recipients of the prize are the inaugural winner Mairéad McClean and Jasmina Cibic.